A cabinet full with HDDs to work with is a good reason to use this double docking station. It is for 2.5' as well as for 3.5' SATA HDDs. 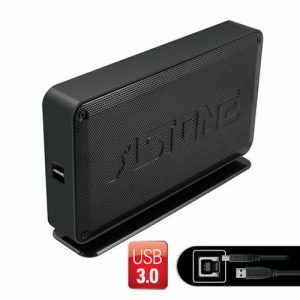 The aluminium casing provides firm standing and good looking. The 2.5" HDDs might have a height of 9.5 or 12.5 mm, even 15 mm. 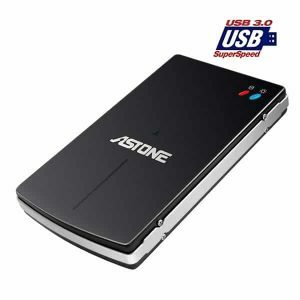 Due to its power supply the dock also runs HDDs, which need 12 V. USB 3.0 accelerates the transfer of huge data, e. g. movies, enormously. Connecting with a PC the two HDDs are detected as two independent drives under JBOD Mode. Without PC you can clone the HDD just by pushing a button. 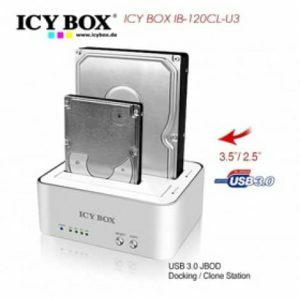 You can even clone a bootable HDD with operating system. 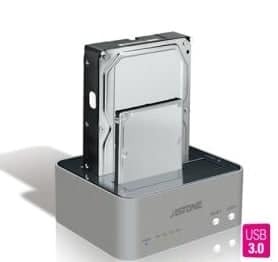 ASTONE CloneDock Doc-232 - This Product is currently unavailable. 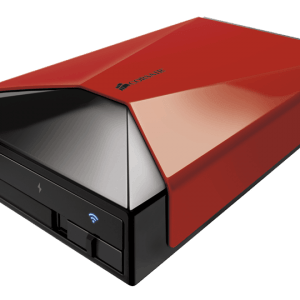 Corsair Voyager Air™ Mobile Wireless Storage with Ethernet 1 TB Red , all-in-one portable wireless drive, home network drive, USB drive, and wireless hub.